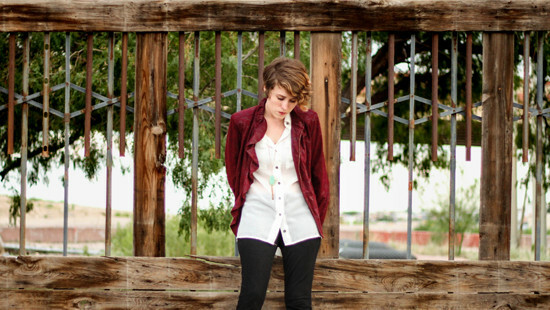 Emily Davis Music / Emily Davis is a singer-songwriter living in the El Paso desert with an affinity for writing aggressive folk music. A petite frame hardly limits the energy detonating from Emily Davis, a folk singer/songwriter whose lyrics strive to provoke thought and whose stage presence could be captured in two words: firework pixie. Wearing punk on her chest and her lyrical heart on her sleeve, Emily turns the act of singing into soulful storytelling. Two back-to-back albums between 2010 and 2011 introduce the first few chapters of Emily’s professional musical folktale. The first, entitled No Real Destination was released in 2010 followed by a self-planned multi-state tour. Her cross-country travels and youtube videos have jumpstarted a fan base that’s evolved into thousands of avid followers. Within a year came her sophomore album, Dark Matter, a compilation of macabre verses weaved into upbeat tempos and harmonies. 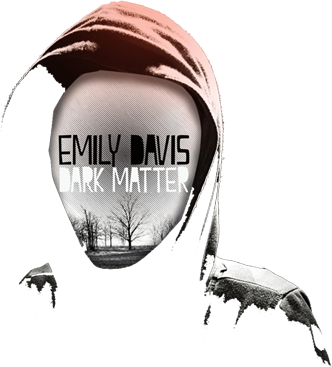 Her Dark Matter tour across the country further proved the demand for more of Emily Davis’ music. This sophomore release touches on social issues, paternal perspectives, and taboo mentalities that are gripping and abrasive, making any listener curious and anxious to learn more about the voice behind the mic. Emily will be debuting her third full length release “The Worst Kind of Curse” on September 25, 2015 – a musical venture that has set itself up to be a more raw, visceral collection of songs containing the lyrical insight followers have come to appreciate in her music.